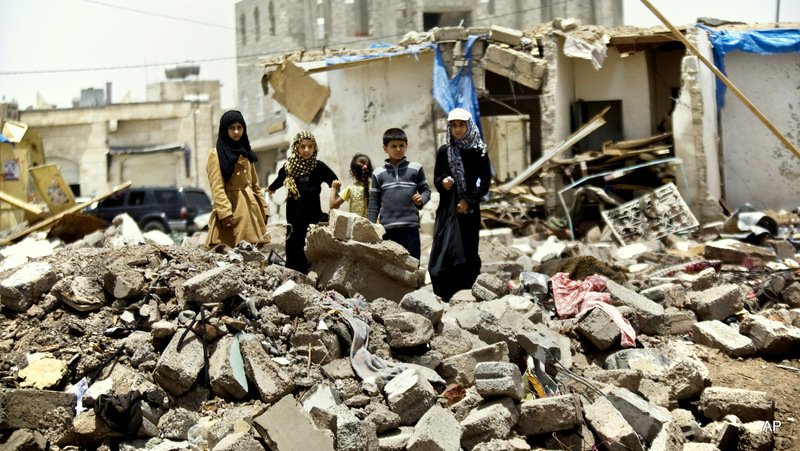 Yemen has been steeped in a humanitarian crisis for years. According to the United Nations, over 7,600, mostly civilians, people have been killed and approximately 42,000 injured since the conflict escalated in March 2015. The nation is home to about 28 million people, all of which depend heavily on imports for their basic needs, like food and medicine. The land, sea and air siege from Saudi Arabia that comes after almost three straight years of Saudi bombing has posed an insurmountable challenge for the Yemeni population. And it’s only getting worse. Most of the imports come through a port called Hodeida, which has been taken over by rebels and blocked by Saudi Arabia. The lack of fuel imports, which is used in pumping and sanitation, has led to little to no clean drinking water. The lack of food and vaccines are also not making it through the port at a high enough rate, leaving families and children starving, sick and completely unhealthy. I’m sure most of us have seen at least one picture scrolling through social media of a starving Yemeni child staring into the camera, just barely skin and bones. Most of us have probably just scrolled right past it without thinking much about it. I mean after all, what could we really do about it anyway, right? Wrong. We can’t have that mindset that trains us to only care about the disasters that hit near home. It seems as though especially here in America, we have been too blinded by the never-ending disaster of the Trump presidency and have allowed it to sidetrack us from other, if not more invasive, issues that deserve everyone’s attention, at the very least. It’s bad enough that something as deplorable is happening in the first place, but it’s even worse when no one seems to know or care much about it. We cannot afford to pick and choose which issues we think matter and which don’t because that leads to complacency. Everyone can truly make a difference in some way, even if it’s by just donating a small portion of money or spreading awareness. To make things worse, the American government has had ties with Saudi Arabia that only keep getting stronger. The administration could be doing so much to help countries like Yemen, but instead it continues to support problematic nations while sowing unrest in other countries. By staying allies with Saudi Arabia, America is essentially showing the Yemeni people that it doesn’t care about their lives or their situation. Our country is playing a gargantuan part in Saudi’s blockage that is directly leading to the death of Yemeni citizens. In 2017 alone, there have been around 50,000 children’s deaths from the crisis and, sadly, there doesn’t seem to be a glimmer of a light at the end of the tunnel. Eleven million children are in need of urgent humanitarian care, 125,000 are on the brink of starvation and a whopping 17 million Yemenis are without food. They are just barely staying alive in inhumane conditions, fighting for their one day at a time.